Is HGH a peptide? Yes, HGH is considered to be a peptide; however, not all peptides are HGH human growth hormone. Experts have demonstrated that HGH has a more immediate effect upon the body and peptides work more gradually. In some cases, peptides seem to have less side effects if taken incorrectly (by accident or on purpose). A peptide hormone such as growth hormone helps the body to regenerate cells and tissues. It helps to stimulate all organs to thrive. Also called a protein, growth hormone is a peptide that is produced naturally by the pituitary gland in the body. The pituitary is located at the base of the brain and stimulates the body to release the growth hormone when it is needed. When a growth deficiency is found through a blood test, a prescription can be written for human growth hormone. This medication is an exact replica of what the body naturally produced before it slowed. HGH is a 191 amino acid sequence, large protein molecule, peptide that can replace what is missing. 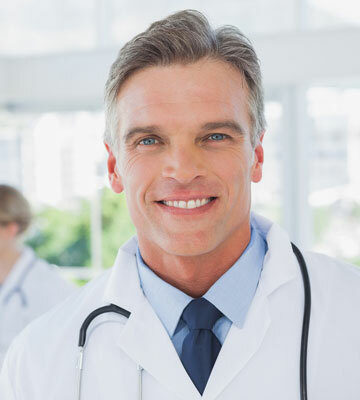 Doctor prescribed HGH injections can bring the body back to optimal health. Yes, when taken by subcutaneous injection at just the right dosage, HGH peptides work on most patients. HGH therapy must be given a full commitment on the part of the client in order to get the best HGH peptides results. This means that a patient has to commit to being responsible by taking their exact prescribed dosage of HGH medication as the doctor has directed; no more and no less. They must follow their treatment plan and never skip a dose of medication. Living a healthy lifestyle is also very important for the best benefits when participating in an HGH therapy program. If too much medication is taken, HGH peptide results can be negative. Too much medication can overstimulate the body and cause problems. If too little HGH peptide medication is taken, the patient may not see any results. This is the reason why doctors are extremely careful when they are creating a prescription and a treatment plan. The more the doctor knows about the patient’s symptoms, body chemistry, current and past medical conditions and what their goals are for treatment, the better they can help them. Growth Hormones And Peptides: How Are They Different And The Same? Human growth hormone is a medication that is taken by prescription only. HGH is subcutaneously injected right under the skin and enters the blood stream. This is when it raises and balances growth hormone levels within the system. Peptides are stimulants that help to promote the release of growth hormone in the body by the pituitary gland in the brain. It is not human growth hormone, but a medication that pushes the body to make its own GH. Both HGH and peptides are used to increase growth hormone in the body; one however, is a stimulant and one is the actual hormone. Experts all have their differing opinions on what they believe is better, HGH or a stimulating peptide for the body. For more information about HGH and peptides, please fill out our online contact form. It is simple and can be done quickly. You will then receive a phone call for a free consultation with one of our expert clinical advisors. They can help you to learn about peptides and human growth hormone. Your advisor will get you started with testing to see how you can get the best help possible.